At Zoëtry Resorts & Spas, we’re all about stress-relief, health and wellness. An integral part to a healthy mind is a healthy body, and a healthy body is achieved through good dietary practices. This doesn’t only include what you eat, but what you drink as well. Herbal teas are the perfect place to start! Frequently served at Zoëtry Resorts & Spas, herbal teas boast an impressive number of health benefits. Below, we’ve highlighted five reasons why you should make an effort to drink more tea. Tea is full of antioxidants! Antioxidants help your body to combat aging and the wear-and-tear of everyday life. It won’t make you jittery. Tea contains less than half the amount of caffeine found in coffee. Fed up with feeling wired after every cup of coffee? Try tea! Studies show that tea can reduce the risk of heart attack and stroke. Tea helps to keep your arteries clean—just ask habitual tea drinkers in the Netherlands who have a 70 percent less chance of suffering a heart attack than their peers. It promotes bone health. One study found that tea drinkers had stronger bones after 10 years than their non tea-drinker counterparts. Tea strengthens your immune system. No one likes being sick all the time! Combat the common cold and other illnesses by drinking tea every day. 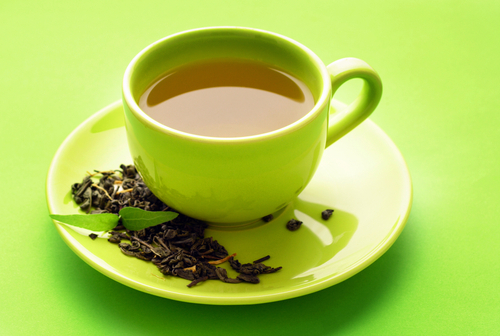 What are some of your favorite herbal teas? Sample some of our fabulous teas at Zoëtry Resorts & Spas today! This entry was posted in Zoëtry Wellness & Spa Resorts and tagged health, herbal tea, Wellness, zoetry resorts. Bookmark the permalink. Beauty spas are one great aspect that has benefited greatly from this change in people’s awareness and lifestyle.